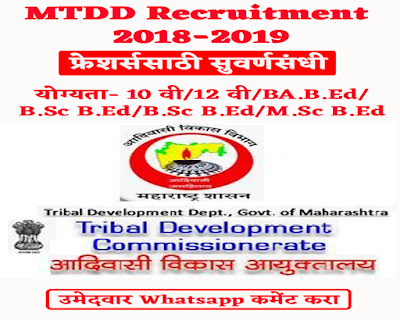 Maharashtra Tribal Development Department has published an official notification for recruitment of 1395 various posts. Interested and Eligible candidates who wants to apply for these posts submit their applications Maha Tribal Bharti 2019 on or before 8th January 2019. For more details like age limit, salary, how to apply, selection process please refer the below article. 1. Post No.1 to 5: 18 to 43 years as on 30 November 2018. 6. Post Graduate Degree in Social Work or Social Welfare Administration or tribal welfare or tribal welfare administration branch. 7. Degree in Social Work or Social Welfare Administration or tribal welfare or tribal welfare administration branch. 8. (i) 10th Pass (ii) Librarian Science Diploma OR Library Science Degree. Applications will be accepted as per the format attached to the advertisement only. 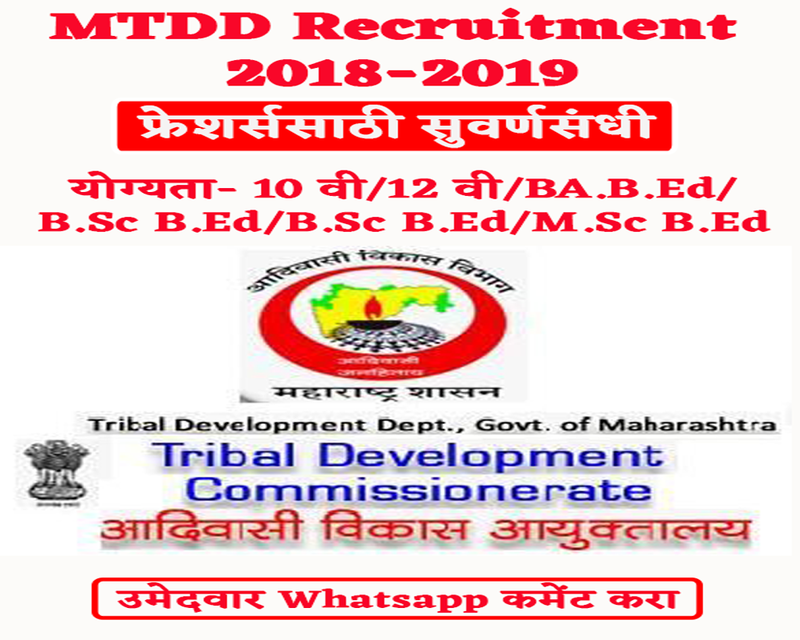 Apply online for Maha Tribal Nashik Recruitment 2018-2019 on official website of below given link.